CRISTIANO Ronaldo has joined Italian champions Juventus from Real Madrid on a four-year, $157 million contract, ending nine years at the Spanish giants. The two European giants announced the much-anticipated deal for the five-time world player of the year, who joined Real from Manchester United in 2008 for a then world record $142 million. The 33-year-old Portugal forward is the Spanish club's all-time top scorer, with 451 goals in all competitions, and the winner of two La Liga titles and four Champions League trophies with them. The signing of the latest Ballon d'Or winner and top scorer in the Champions League for the past six seasons represents a major coup for Juve, who have had a stranglehold on the Italian title since 2012 but have not won Europe's top prize since 1996. The signing also strikes a blow for the profile of Serie A against La Liga, which has now lost two of its three most famous players in the past year, after Paris St Germain signed Neymar from Barcelona for a world record fee last August. Real paid tribute to Ronaldo, the all-time top scorer in the Champions League, in a lengthy statement on their website and said the player had asked to be transferred. "Real Madrid announces that it has agreed to transfer Cristiano Ronaldo to Juventus FC due to the will and desire expressed by the player," the European champions said. "Beyond all the trophies and matches he won on the pitch during these nine years, Cristiano Ronaldo has also been a role model in commitment, hard work, responsibility, talent and a desire to always exceed himself." 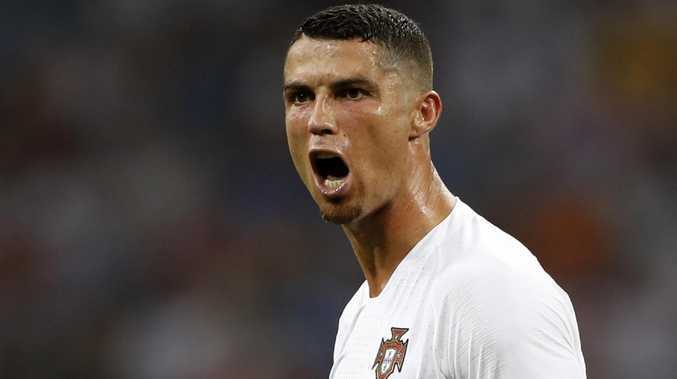 Despite his remarkable consistency, Ronaldo often appeared unsettled at Real and had threatened to leave on several occasions, first airing his dissatisfaction with the club's hierarchy in 2012 by saying in a post-game interview: "I'm sad and the club know why". Reports emerged last year that Ronaldo was again upset with the club's president, Florentino Perez, over a pay dispute and was intent on leaving, although he stayed on to lead the club to a third successive Champions League triumph. 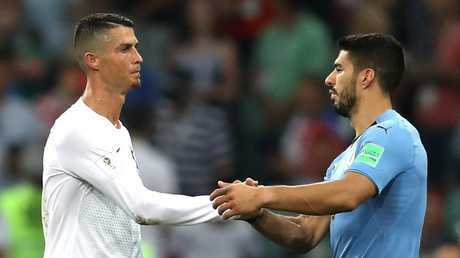 Ronaldo, however, soured the celebrations immediately after the 3-1 win over Liverpool in the final in Kiev by indicating he had decided to leave, saying in a post-match interview: "It was beautiful to play for Real Madrid." The Portugal international scored two goals against Juventus in Real's 4-1 win in the 2017 Champions League final and earlier this season struck a jaw-dropping bicycle kick against the Italians in a 3-0 win in a quarter-final first-leg game in Turin. Juve supporters gave him a standing ovation.